Kathy is Northgate’s Top Agent for a reason. 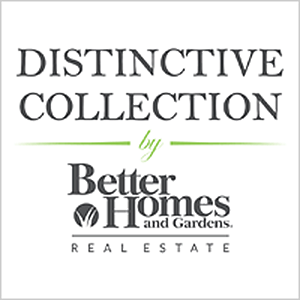 Her trademarked Launch™ program consistently delivers more value to Northgate homeowners – that means more money and less time to sell your home. 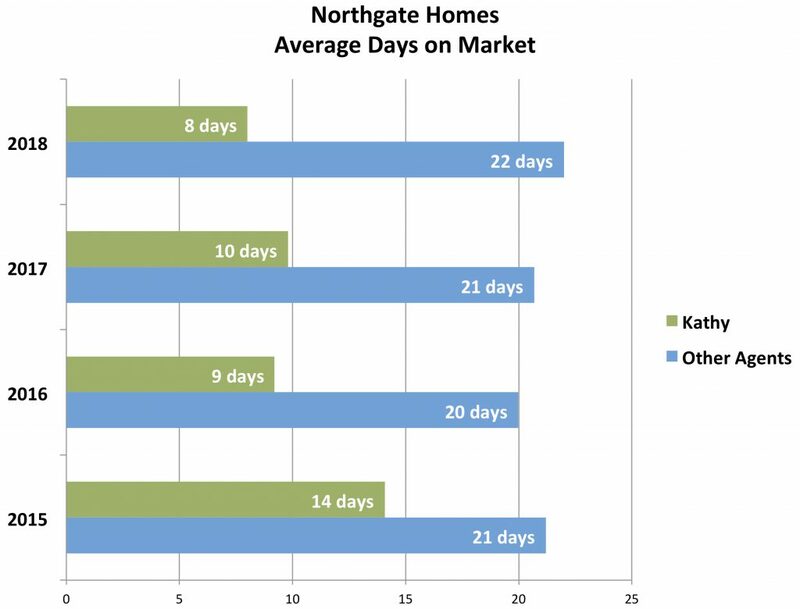 Compare four years of Northgate sales data to other agents below. Kathy’s average sold price per square foot is $23/square foot more than other agents. 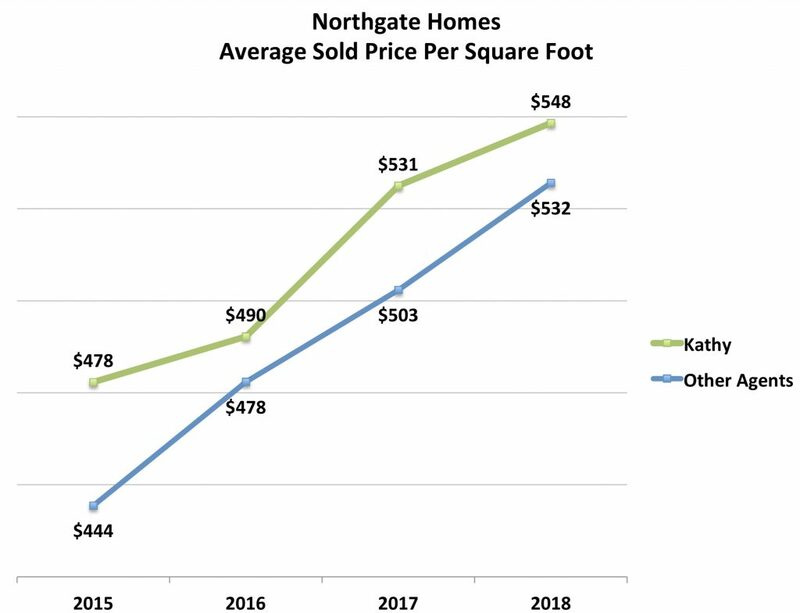 With the average Northgate home being 2,433 square feet, that translates to more than $50,000 additional value to the seller. The data tells the story. Kathy Vendel is Northgate’s top agent, selling more homes for more money in less time. Subscribe to Northgate email updates here!